The Drakensberg Mountains, also known as “the Dragon Mountain”, a breath-taking and awe-inspiring range of mountains that stretch well over 200km’s with an average height of 2900 metres, forming a natural border between Lesotho and KZN, sounds incredible, doesn’t it? 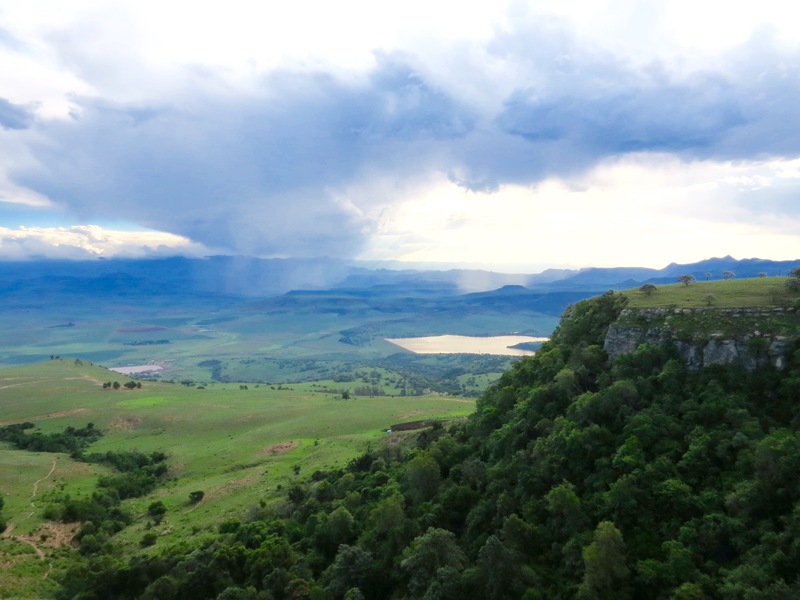 But what makes the Drakensberg one of the most famous Mountain Ranges in Africa? It is riddled with picturesque waterfalls, rock pools, mountain streams, caves, mountain air and spaces that bring both visitors or tourists to South Africa as well as us local folk who cannot seem to get enough of our beautiful country and all that it has to offer! Speaking of what’s on offer, the Drakensberg Mountains have a wide array of fun activities available for people from all walks of life to enjoy whether it be trail running, river rafting, fishing, quad biking, horse riding or simply hiking; there really is so much to do but for now we have decided to focus our attention on the Mountain Biking opportunities and culture that you can experience here in the Drakensberg Mountains. It is safe to say that the Drakensberg Mountains offer some of the best Mountain Biking trails in South Africa with some of the most exquisite scenery. Home to major Mountain Bike races such as the Sani Pass Transfrontier Mountain Bike Epic, the Volvo Classic, the Sani 2c; and the Berg and Bush (to name a few) the Drakensberg Mountains prove to be the ideal location for novice and accomplished riders! The terrain of the Drakensberg Mountains and the Drakensberg itself provide endless scenic riding routes that each have varying distance and climbing requirements making it the perfect place for the whole family to enjoy. Here at Drakensberg Mountain Retreat we currently have 1 trail for Mountain Bikers to utilise that travels through the wattles and along the veld towards the Vodacom Tower at Razor’s Edge and back. This trail is roughly 3KM’s and is more of a casual outride but enjoyable nonetheless. So, whether you’re experienced or not you can enjoy an adventurous bike ride and then head straight back to the retreat for some good home cooked meals and a nice cozy bed without having to make an unnecessary drive home. What’s more, the kids and the family can enjoy a nice relaxing weekend away making use of our children’s room and playground area; snooker table, indoor swimming pool, board games, relaxing lounge areas and the great outdoors, ensuring a wonderful time is had by all. We are excited for the expansion of some incredible Mountain biking trails in the near future so keep your eyes and ears peeled! If you’re ready to book your next getaway and enjoy some casual Mountain Biking or perhaps some Hiking as well then be sure to get in touch with us and let’s make that holiday a reality!